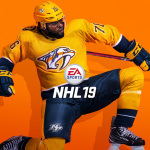 "Growing up, and still to this day, my friends and I love seeing who is on the cover and ultimately getting to play the game"
LAS VEGAS--(BUSINESS WIRE)--Electronic Arts Inc. (NASDAQ: EA) today unveiled the first look at EA SPORTS™ NHL ® 19 to hockey fans at the 2018 NHL Awards™ presented by Hulu in Las Vegas. 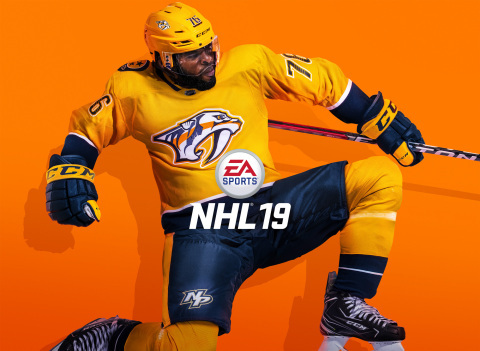 Electronic Arts also revealed Nashville Predators’ Norris Trophy-winning defenseman and Olympic gold-medalist, P.K. Subban, as the NHL ® 19 cover athlete. EA SPORTS, Battlefield, The Sims, Need for Speed, Dragon Age, and Plants vs. Zombies are trademarks of Electronic Arts Inc. John Madden, NFL, NHL, and FIFA are the property of their respective owners and used with permission. *Conditions and restrictions apply. See https://www.easports.com/nhl/game-and-offer-disclaimers for details. **Conditions, limitations and exclusions apply. See http://www.ea.com/eaaccess for details.